Ann Arbor, Michigan—Did Mitt Romney’s speech on health care satisfy his conservative detractors? Did it lay out a coherent alternative to the Affordable Care Act? These are important questions and I’ll get to them in a moment. But, first, let me tell you about my favorite moment of his presentation on Thursday. It happened near the end, after Romney was done with his PowerPoint slides and taking some questions from the audience. From the back of the auditorium, I couldn’t hear what was being asked. But one question prompted Romney to talk about ways of making medical care more efficient, including something called “Value Based Insurance Design” that had come up in conversation earlier in the day. If you’re a health care wonk, like I am, you know all about VBID. It’s basically a vision for redesigning health benefits, so that people pay less for services that provide value and more for services that don’t. And it makes sense that it would have been on Romney’s mind at the moment: The researchers best known for developing it are based at the University of Michigan, where Romney happened to be speaking. That Romney would cite VBID as an example of how to reform health insurance speaks to his intellectual sophistication and managerial skill. It’s a trait that runs through his career in the private and public sectors, where he frequently demonstrated an ability to grasp a problem, analyze it, and come up with a solution. Unfortunately, that citation also speaks to Romney’s essential political dilemma. If you read the Affordable Care Act and turn to section 2713(c), you’ll find a provision calling upon Medicare to experiment with—wait for it—VBID. And if you paid attention to President Obama’s deficit reduction proposal a few weeks ago, you may recall that Obama proposed letting the agency in charge of Medicare introduce VBID more quickly. Does this make Romney a closet socialist? Hardly. Does it mean he wants to give government the power to ration? Please. I'm not even sure Romney intended to endorse the idea, let alone the version in the Affordable Care Act. No, his mention of VBID simply means he’s a problem-solver with moderately conservative values and an open mind about policy. But try telling that to the Republican base, which has decided that anything that looks remotely like Obamacare is evil. As for the dreaded individual mandate, Romney explained it the same way he did back when he was governor—as an attempt to make people take more personal responsibility for their medical expenses. “We told people either pay for your insurance or we’re going to charge you for the fact that the state will have to pay for your care,” Romney said. How good was Romney at this defense? So good that, quite honestly, I think he sold the mandate better than President Obama ever did. But sympathy for the uninsured and an understanding of the Affordable Care Act’s insurance requirement won’t win votes on the right. So Romney quickly moved to a second theme: Establishing the distinctions between Romneycare and Obamacare. And this is where Romney just looked silly, because the two plans expand health insurance in virtually the same way, not least because some of the same people helped design them. Both set up insurance exchanges for people without access to employer insurance. Both require insurers to provide coverage to anybody, at the same price. Both have an individual mandate. Both have subsidies. Both expand Medicaid coverage. Both seek to cover most, if not quite all, residents. Both set requirements for what insurance must cover. I could go on. Romney tried to make a big deal out of the fact that the Affordable Care Act reduces Medicare spending while the Massachusetts plan does not, but the contrast is irrelevant because Massachusetts doesn’t control Medicare. It’s a federal program. (That’s one reason, by the way, the Massachusetts plan hasn't yet controlled costs; it can’t do anything about the biggest payer of services in the state.) Romney also suggested that Massachusetts didn’t pass huge tax increases. But it did enact some taxes, albeit over Romney’s objection, and it benefited from a huge infusion of federal funds—which, of course, came originally from taxes. Romney talked a lot about the federal government versus the states. It was fine for Massachusetts to create this sort of a system for its citizens, he said, but it was wrong for the federal government to impose it on the rest of the country. This seems to be where he’s really making his stand and, to be fair, there's a coherent and principled argument along those lines. 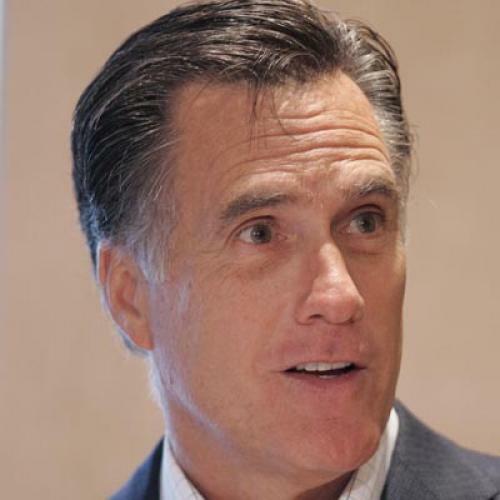 But it runs contrary to things Romney said in the past, including his statement to my colleague John Judis, in 1994, that he supported a nationally imposed system with an individual mandate. And, as a political matter, it’s highly questionable whether the fine distinctions of federalism will matter to right-wing voters convinced that the individual mandate, and health care reform generally, is an assault on basic liberty. But the most disappointing part of the speech, to me, was the final section—the place where Romney laid out his vision for an alternative to the Affordable Care Act. And I don’t say that because his vision for health reform specifically and policy generally is more conservative than mine. I say that because the vision lacked anything remotely resembling specifics. Romney had the fancy PowerPoint, yes. But the section outlining his alternative to Obamacare was just a quick recitation of familiar conservative themes: More high-deductible insurance, cross-state purchase of health insurance, malpractice reform. Numbers? Programmatic specifics? Romney had none. The emblematic moment in this section came near the end, when Romney noted that he supported the “goals” of Paul Ryan’s plan for Medicare but had some differences over the “specifics.” That is a bit like saying you like opera except for the singing parts. On Wednesday, Ezra Klein explained the inherent problem of the conservative approach to health care and the dilemmas Romney would confront if he actually tried to design such a program. For example, giving individually purchased insurance the same tax treatment as employer-sponsored insurance would either increase the deficit, require major tax increases, or do very little to expand insurance. It would also require enormous regulation or, conversely, leave people with pre-existing conditions without access to decent insurance. When John McCain put forward a plan along these lines in 2008, the results were not pretty. It would be interesting to know how Romney—the one who dived into the details of health reform in Massachusetts, the one who defended that plan so elegantly on Thursday—would deal with these trade-offs. I’m willing to believe he’d come up with some interesting ideas, including a few I might even like. But in this political environment, and this conservative electorate, I don’t think that Romney stands a chance.